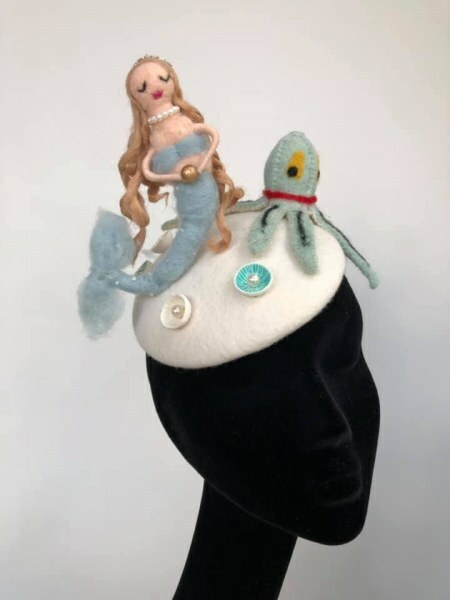 This is the "Ariel" Hat. 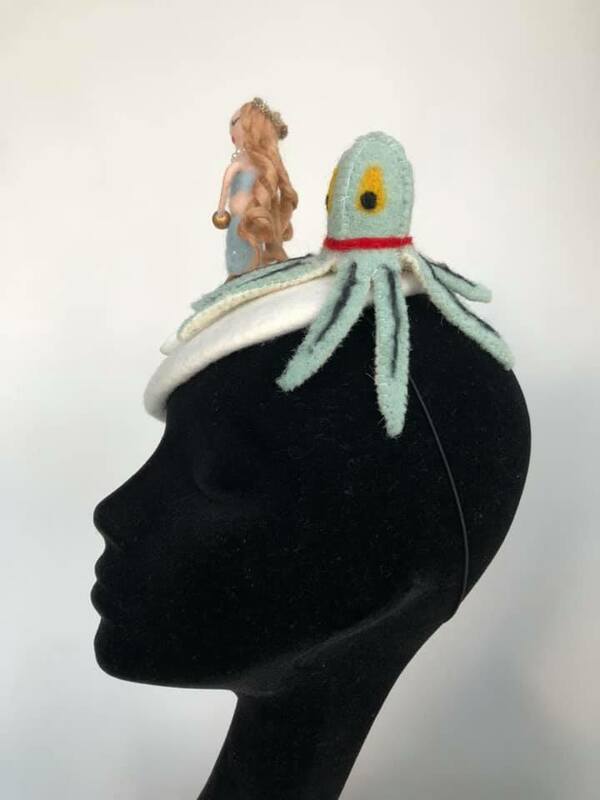 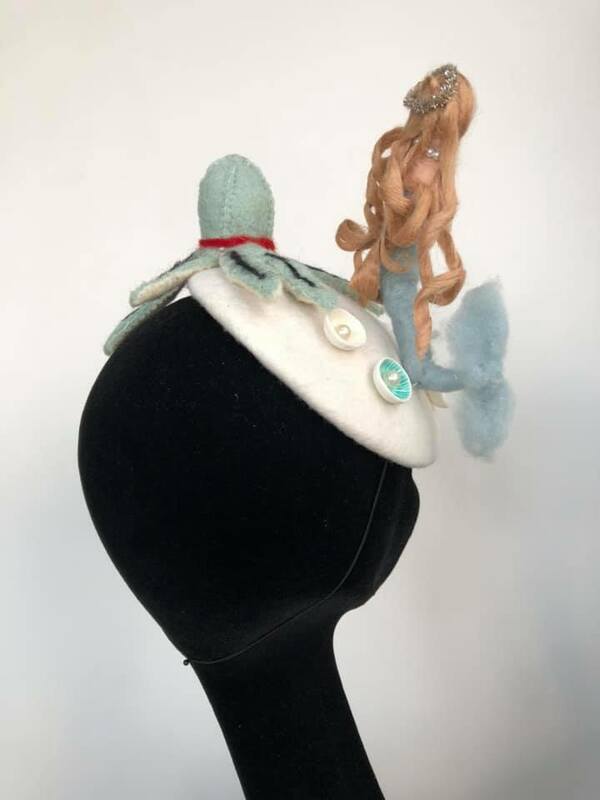 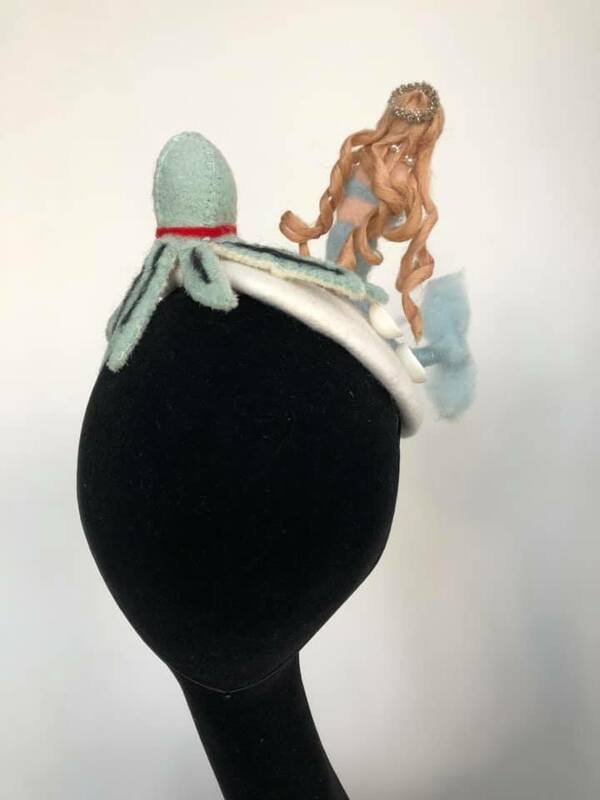 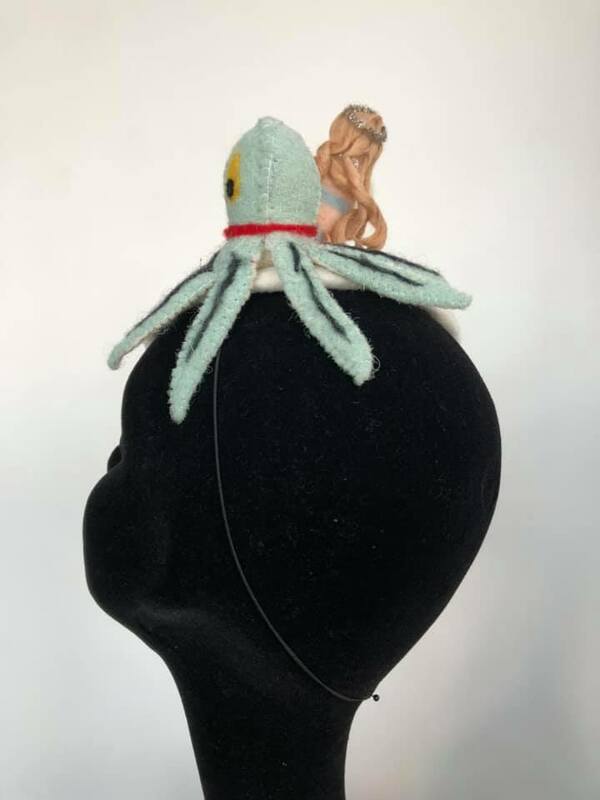 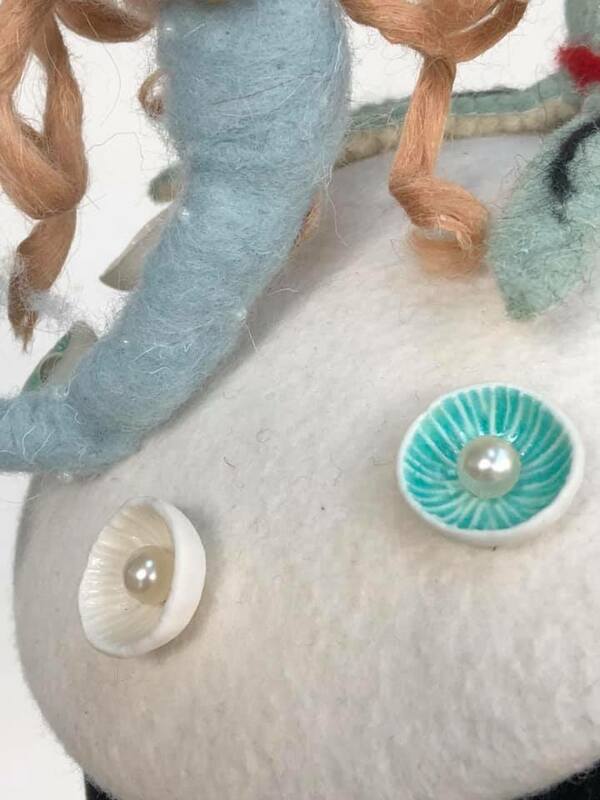 A medium size "Smartie" cap base, hand blocked in high quality off-white wool felt, decorated with two small felt figures from Sass & Belle and Carolyn Donnelly: a gorgeous mermaid and a cute octopus...recreating an “under the sea” scene! 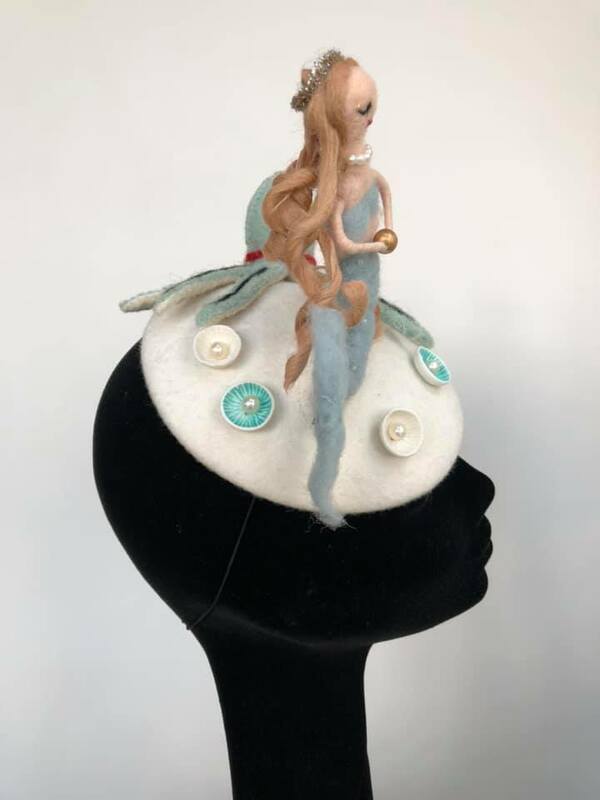 This lovely piece is finished with 4 porcelain shells handcrafted by Ceramic and Fine Porcelain designer Mairi Stone, from Ballydehob, Co. Cork. 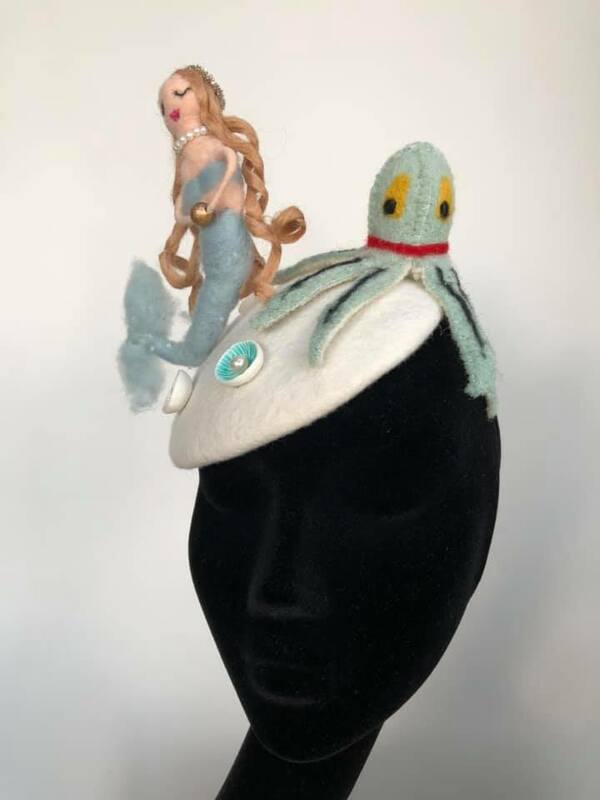 The shells are attached to the hat base with nesting ivory pearls! 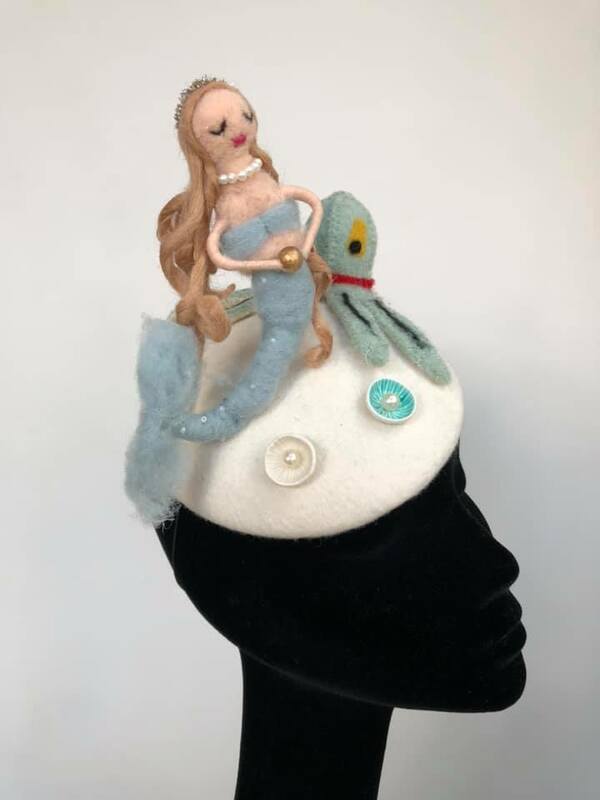 This wonderful design is completely hand sewn, lined with a lavish turquoise satin and is worn on a black millinery elastic.